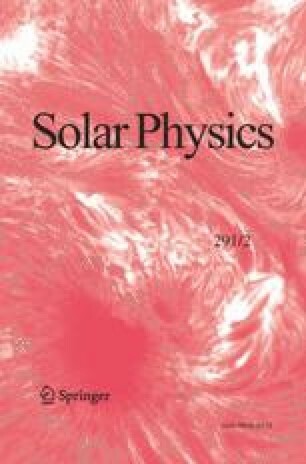 The physical processes that trigger solar flares are not well understood, and significant debate remains around processes governing particle acceleration, energy partition, and particle and energy transport. Observations at high resolution in energy, time, and space are required in multiple energy ranges over the whole course of many flares to build an understanding of these processes. Obtaining high-quality, co-temporal data from ground- and space- based instruments is crucial to achieving this goal and was the primary motivation for starting the Max Millennium program and Major Flare Watch (MFW) alerts, aimed at coordinating observations of all flares ≥ X1 GOES X-ray classification (including those partially occulted by the limb). We present a review of the performance of MFWs from 1 February 2001 to 31 May 2010, inclusive, which finds that (1) 220 MFWs were issued in 3407 days considered (6.5 % duty cycle), with these occurring in 32 uninterrupted periods that typically last 2 – 8 days; (2) 56% of flares ≥ X1 were caught, occurring in 19 % of MFW days; (3) MFW periods ended at suitable times, but substantial gain could have been achieved in percentage of flares caught if periods had started 24 h earlier; (4) MFWs successfully forecast X-class flares with a true skill statistic (TSS) verification metric score of 0.500, that is comparable to a categorical flare/no-flare interpretation of the NOAA Space Weather Prediction Centre probabilistic forecasts (TSS = 0.488). The authors wish to thank the excellent efforts of both our newest MMCO (Ying Li) and past MMCOs who have contributed since 2001 (in alphabetical surname order: Paul A. Higgins, R.T. James McAteer, and Claire L. Raftery), Keiji Yoshimura for maintaining the Max Millennium website, and the referee for useful comments that helped improve the manuscript. The Max Millennium program has been supported by the enlightened RHESSI PI team led by Principle Investigator Robert P. Lin (later Säm Krucker) and Project Scientist Brian R. Dennis through Sub-agreement No. SA-1868 26308PG between University of California, Berkeley and Montana State University. DSB received funding from the European Space Agency PRODEX Programme and the European Union’s Horizon 2020 Research and Innovation Programme under grant agreement No. 640216 (FLARECAST project). ROM received funding from NASA LWS/TR&T grant NNX11AQ53G and NASA LWS/SDO Data Analysis grant NNX14AE07G. Sawyer, C., Warwick, J.W., Dennett, J.T. : 1986, Solar Flare Prediction, Colorado Associated University Press, Boulder, CO. ADS.